Sites governed by the Control of Major Accident Hazards Regulations (COMAH) as well as Environmental Permitting Licensed Sites (EPL) are required to have adequate drain protection measures in place to avoid watercourse contamination. 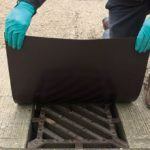 We offer drain covers, mats, seals, Envirovalve® systems and a drain tracing kit which will help you identify and mark all drains on site to differentiate between stormwater and foul water drains. 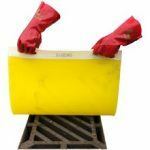 Neoprene, magnetic and polyurethane drain mats and covers can be re-used and are suitable for drains in good condition. 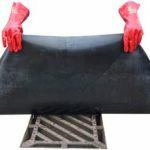 Drains that are uneven or broken will require mats made from Dammit® clay which can be moulded to fit the shape of the drain, these are single use only. 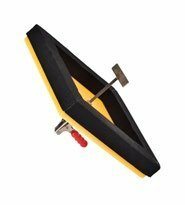 Drain seals clamp onto the drain to give maximum protection and can be used multiple times. 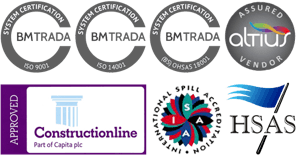 These provide a secure seal with a clamping system to ensure it will not lift. Finally, an Envirovalve® can be placed into a drain and allows the user to inflate a bladder to seal the drain off from above ground. 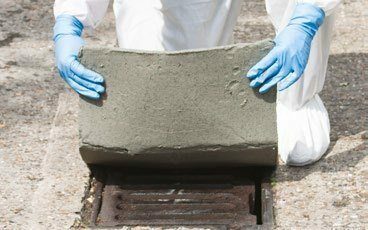 Dammit emergency clay drain plugging mats instantly seal a drain to prevent spilt oils and chemicals flowing into storm drain and out to controlled waters. 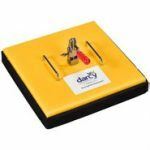 Dammit clay drain mats are treated with a formula which prevents mould growth and anti-freeze properties so the mat remains flexible down to -20°C. Drainseal is a mechanical, multi-use, reusable seal that securely clamps onto the drain giving maximum protection. Stop spills entering drains fast with the Magnetic Drain Cover. 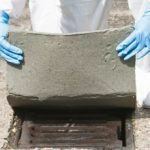 This drain cover is completely reusable and will not pick up dirt. 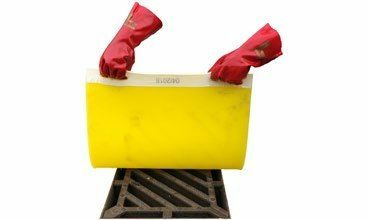 Our Stoppit mat offers quick deployment and a cost effective method of preventing spilt oils and chemicals getting into the drainage system. The 8mm thickness makes them suitable for standard pollution incidents. 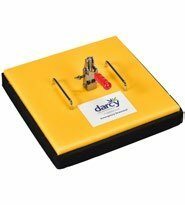 These reusable drain covers are manufactured using polyurethane for strength and flexibility and are resistant to oil, water, fuel and most chemicals. 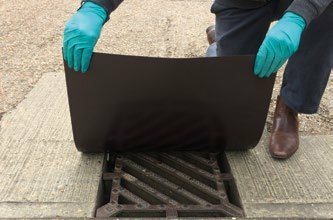 The contact side of the drain cover is sticky creating an effective seal to the contours of the drain and surrounding ground. 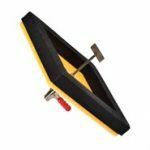 Our neoprene drain covers are lightweight and easy to deploy solutions ideal for small spills. 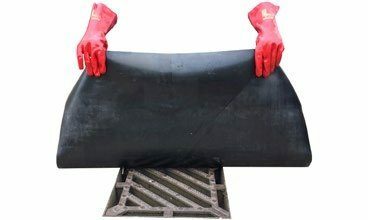 An economy version of our Stoppit drain mats, for effective plugging of a drain preventing discharge of oils and chemicals into the watercourse. They are the perfect complement to our spill kits, we recommend you store them rolled nearby high risk areas for use in an emergency situation. With changes to ADR Regulations, the size and weight of our neoprene mat means easy incorporation into your vehicle spill kits.